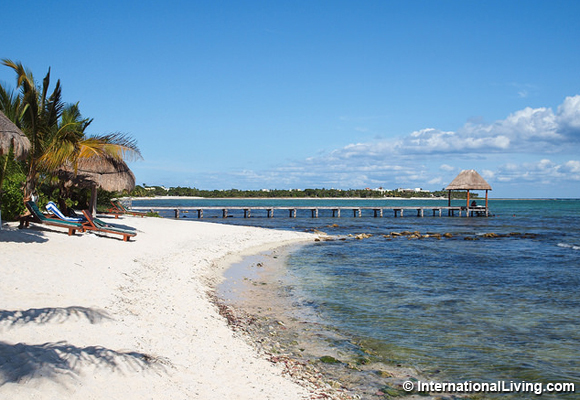 Mexico Named World's #1 Retirement Destination: How Did That Happen?!? For years, millions of U.S. and Canadian citizens have been enjoying life in Mexico. 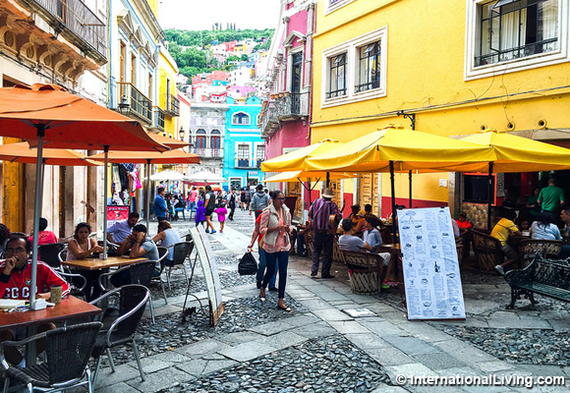 By some estimates, there are more expats living full- or part-time in Mexico than in any other destination abroad. So why do we think it's big news that Mexico has been named the #1 retirement destination on International Living's 2017 Global Retirement Index? And why do we think the timing is noteworthy? For one thing, if you've been paying attention to the U.S. news cycle, you know that the person elected as the next President of the United States has promised to wall off Mexico from the rest of North America. Literally wall it off. You'll also have noticed that this same incoming president has already taken credit for stopping new automobile factories being built in Mexico by U.S. auto companies. Auto manufacturing is huge business in Mexico. Combined with an incredibly strong U.S. dollar that's hammering the Mexican peso--and clear anti-NAFTA signals from the U.S.--this threat to one of Mexico's biggest industries is having chilling effects on the Mexican economy. Mexicans are noticing. How could they not? And we're hearing a lot of comments from locals saying, in essence, that Americans living in Mexico who feel the same way our elected president seems to feel are welcome to go home and help him make America "great" again. Notice I said that we are hearing these things ourselves. That's because we're living in Mexico right now... We've decided to spend the next several months in Mexico with an eye to relocating here from South America. Why are we considering relocating to Mexico now, with everything going on that we just mentioned? Because, despite the current political and economic noise from the U.S., Mexico is still the perfect choice for us at this point in our lives--as it still is for millions of other U.S., Canadian, and other expats as well. 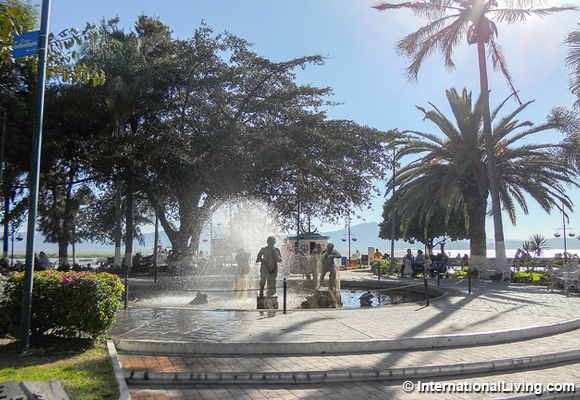 In fact, even with all the political and economic rhetoric coming out of Washington, Mexico has so many positive qualities for those looking to live or retire abroad that it still topped one of the world's major indexes of retirement destinations. First, Mexico is Mexico. It has a culture and tradition that is unique. In fact, it has dozens of cultures and traditions that make it unique... Mexico is a big place, with regional differences just as distinctive and interesting as those in the U.S., Canada, or Europe. From the Baja and Pacific coast, to the central highlands, to the Gulf coast, to the Yucatán and Caribbean coast, there is literally something for everyone to be found somewhere in Mexico. Second, it is close to friends and family back home, and this is one of the most positive factors for us and so many other U.S. and Canadian retirees living in Mexico. We ourselves have a grandbaby now, and from several destinations in Mexico we can get fast, affordable, direct flights to visit her in the U.S. No wall will change that. Third, Mexico is safe. This may come as a shock to those who only know Mexico through U.S. news coverage. But remember what we said about Mexico being a big place. Just as in the U.S. and Canada, there are places in Mexico you would not walk alone at night. But also as in the U.S. and Canada, there are far more places in Mexico that are safe, welcoming, and where neighbors look out for and take care of each other. In our 15 years of living abroad, we've lived in three lovely communities in Mexico which are statistically as safe or safer than anywhere we lived in the U.S. We're back in one of them right now, just south of Guadalajara, on the shores of Lake Chapala, reminding ourselves how nice life is here. Fourth, Mexico is affordable, and we're not just talking about the current exchange rate with the U.S. dollar. That exchange rate has indeed made the dollar go further against the peso than at any time in recent memory, and today it's making Mexico an even more extraordinary bargain for people spending U.S. dollars. But exchange rates change, and this one will as well. And even when it does, Mexico will still be a remarkable bargain compared to the U.S. and Canada for a number of reasons. For one thing, the climate here is temperate, and utility costs are negligible. For another, healthcare costs a fraction of what it does in the U.S., and Mexico has excellent national health coverage for residents, including permanent foreign residents. And taxes are low in Mexico compared to the U.S. and Canada, especially property taxes. But while Mexico is an incredible bargain, it lacks nothing in modern infrastructure, conveniences, and amenities. We're currently staying in one of the most charming little lakeside villages in Mexico's central highlands, and yet we have nearly instant access to first-run U.S. films, big-box shopping, gourmet restaurants, high-speed internet, and a vast array of imported food, wine, and liquor...and that's without even leaving the village. 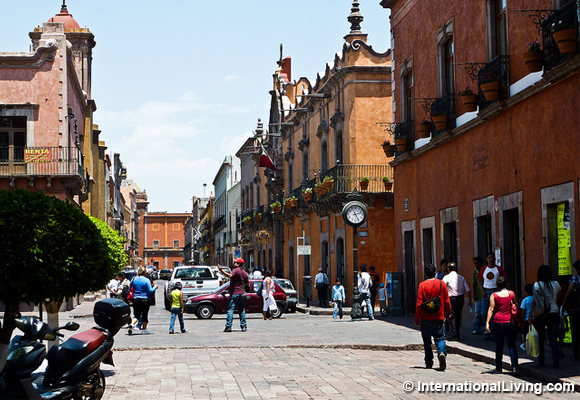 Much more is available by driving less than an hour north to Guadalajara--a world-class city, the second largest in Mexico. On the way, we pass Guadalajara's international airport with all those direct flights we mentioned. We don't even have to go into or through the city to reach the airport. Is there a horrific drug war going on in Mexico right now? Yes...but we're not involved in any aspect of the drug business. We also don't live where this drug war is the worst in Mexico...along drug smuggling routes and along the border with the largest market for illegal drugs on the planet--the U.S. So we are unaffected. Is there a growing feeling of animosity in Mexico toward the incoming U.S. president and his administration? Yes...but bear in mind what we mentioned hearing from our local friends, that Americans living in Mexico who feel the same way our elected president seems to feel are welcome to go home and help him make America "great" again. We are Americans living in Mexico, and we do not feel the same way about Mexicans as our Mexican friends believe our incoming president does. We think that America is already great, and we don't think walling off America's nearest neighbor to the south will make it any greater. Knowing we feel this way, our Mexican friends seem to be able to make the distinction between us and the political posturing and rhetoric of the incoming U.S. presidential administration. For us and the other expats we know here, Mexico still qualifies as our #1 choice for enjoying a happier, healthier, more comfortable, more affordable lifestyle outside our home countries. It simply has more to offer in almost every way, thanks to everything Mexico has going for it...including its amazingly creative and resilient people. We don't see those fundamentals changing in any significant way in the future.